Step back & look again. It's a large QR ("Quick Response") code, the pixelated barcodes you've seen popping up in magazines, on products you buy, and even on billboards in Times Square. Because of their unusual shape these barcodes can encode more information than in smaller barcodes (like the standard UPC), including strings of text and URLs. 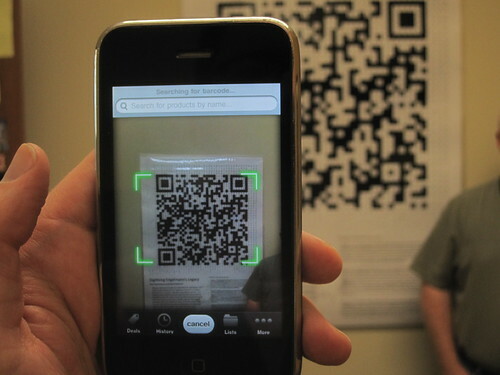 Use your smartphone or mobile device to scan the code and learn more about the "Digitizing Engelmann's Legacy" project. Whaddya think? Leave a comment with suggested updates. Stack Overflow is a great example of a reputation system inspired by game badges, maybe we could develop something similar for BHL?